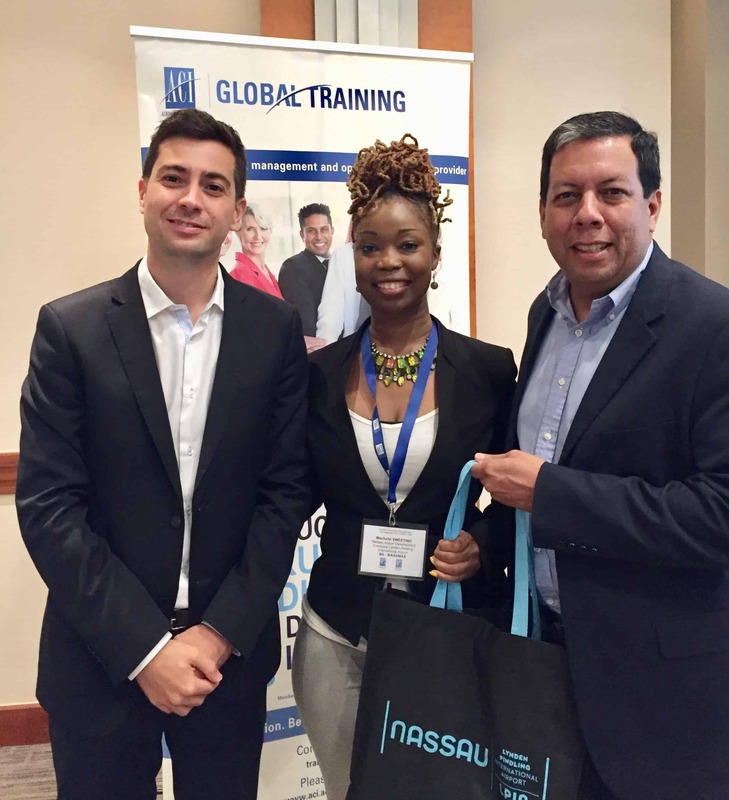 On September 5th – 6th, NAD’s Environmental Coordinator Mechelle Sweeting participated in the annual ACI-LAC (Airports Council International Latin-American/Caribbean) training seminar on Airport Environmental Management, held in Miami, Florida. Mechelle joined a group of twenty-seven (27) representatives from the LAC aviation community in learning the latest on Aircraft Noise Monitoring, Climate Change, Wildlife Trafficking and Carbon Management. Mechelle also attended the Environmental Committee meeting on September 7, 2018 whereby she was able to network with representatives from fellow Caribbean airports such as Barbados, the Cayman Islands and Jamaica. Director General, Javier Martinez Botacio, expressed enthusiasm and gratitude for the attendance/participation of the delegates from Caribbean airports and looks forward to more involvement in 2019. Photo caption: M. Sweeting, Javier Martinez Botacio and ACI-LAC’s Industry Affairs Manager Francisco Medela Alonso.